Obtain all necessary dental, medical records, any x-rays, prescription information. Ask your doctor and dentist for possible referrals. Confirm all travel arrangements with airlines, car rentals, hotels, etc. Transfer all utilities to your new address. Also transfer any newspaper, magazine, cable, or satellite, telephone company to your new address as well. Confirm with your moving company or truck rental company. If driving, be sure to have your car serviced and checked by a mechanic for travel. I.E. belts, hoses, tires, cable. 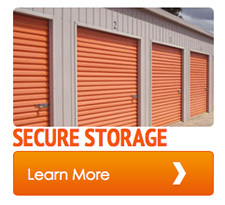 Secure all personal items, valuables, keys, cash, prescriptions, firearms, etc. by creating a “safe zone”. Close off access to a remote bathroom, or closet ,or even a corner of a room. Make sure to go over all “safe zones” with crew during their walk through which should be right after their arrival and prior to the start of work. Make sure each item of yours gets a sticker and is on the driver’s inventory. If you have any questions, just ask the driver. Contact someone close to you and give them your route and your phone number so they can reach you if necessary. Do a complete walk through with the crew, prior to the start of work. Discuss the name of each room, also point out where the head of the bed will go, where the big pieces will go in each room, and a good spot to stack boxes in each room. This will cut down on confusion and moving items unnecessarily. Be sure that some sort of floor protection is used. If you don’t see it and work has begun, ask the driver to take care of it. Carpenter Brothers Moving and Storage, clean and safe storage, and professional moving and packing services. 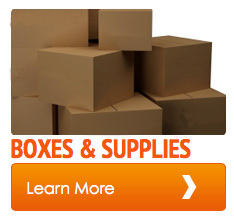 We are a New York moving company serving Plattsburgh, Syracuse, Albany, Rochester, and beyond. Call Carpenter Brothers Moving and Storage today at 518-563-0791 for the best Plattsburgh moving company to meet your personal & comercial needs and deliver proven, stress-free service.